(CNN) - The first confirmed US case of Andes virus was reported at a Delaware hospital in January, a US Centers for Disease Control and Prevention report said Thursday. The case study in the CDC's Morbidity and Mortality Report states that before the 29-year-old became sick, she went on a two-week trip to the Andes region of Argentina and Chile, where she "stayed in cabins and youth hostels in reportedly poor condition." More details were provided in a presentation at an ID Week conference in San Francisco this month, unrelated to the CDC report. She returned to the United States in January and developed fever, malaise and myalgias, or muscle pain. After being hospitalized for five days, she recovered and was discharged. Two cases of the virus have been reported in Switzerland, the report authors said. The CDC describes Andes virus as "a type of hantavirus [carried by some rats and mice] that is found in rodents in South America." It notes that "early symptoms can look similar to the flu, and may include: headache, fever, muscle aches, nausea or vomiting and diarrhea," and can appear between four days and six weeks after exposure. The CDC says the virus spreads when people encounter infected rodents and their droppings. The rats that carry Andes virus have not been found in the United States. However, "no rodent exposures were reported" in the woman's case. 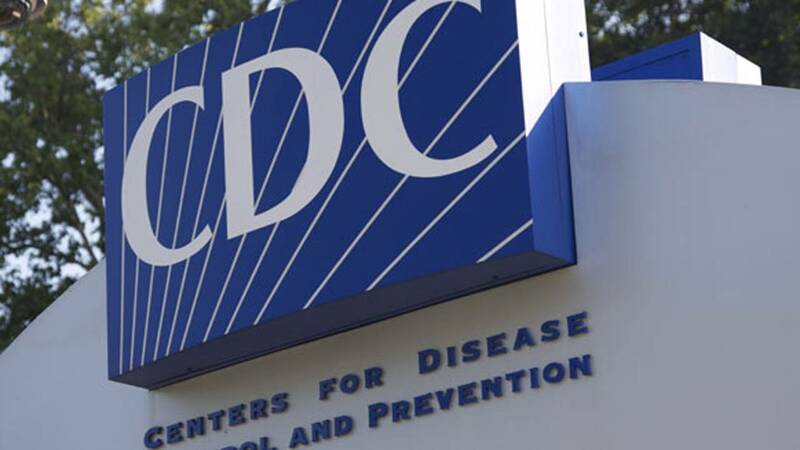 The virus is also the only hantavirus that can be transmitted from human to human, according to the report, although people are typically infectious only when displaying symptoms, the CDC said. Because the woman had traveled on two commercial domestic flights while sick, the CDC, state and county health departments started an investigation to find anyone who came into contact with her. Suspected cases were defined as the presence one or more symptoms "in a person with close contact with the patient within 42 days (the maximum incubation period) after last contact," including new-onset anorexia, chest pain, cough, diarrhea, fever, headache, muscle pain, nausea and vomiting. High-risk contact was when someone was exposed to the patient's bodily fluids, and low-risk contact was a person who was not exposed to bodily fluids but provided medical care or was near the patient on a flight for at least an hour. Fifty-three contacts were identified across six states. Two were high-risk: a health care worker who had contact with the woman's sweat and a family member who had contact with her bedding and clothing. Neither showed symptoms of infection. Of the low-risk contacts, 28 were health care personnel, 15 were airline contacts, and eight were other acquaintances. Although six of these contacts showed symptoms, none tested positive for the virus, the report says. Presenters at the ID Week conference noted that the virus is "14x more likely to be transmitted via sexual contact than household contact." Andes virus can also lead to hantavirus pulmonary syndrome, a fatal respiratory disease, the CDC says. Symptoms of this condition appear four to 10 days after initial symptoms and can include coughing, shortness of breath and fluid in the lungs. They can develop rapidly. "There is no specific treatment, cure or vaccine" for hantavirus pulmonary syndrome the CDC said. "However, patients can receive supportive care in the hospital to help with Andes virus symptoms." Anyone who is displaying these symptoms and has been exposed to South American rodents or had close contact with someone who is infected should see a physician immediately. The earlier the illness is treated, the better. "Healthcare personnel should consider Andes virus in returning travelers with nonspecific febrile illness or acute respiratory disease whose travel history includes the Andes region of Argentina or Chile in the preceding 6 weeks," the report says. To avoid the virus, the CDC suggests that people who travel to South America avoid areas that appear to be rat-infested and disinfect areas that have signs of rodents, if possible. If someone is infected with the virus, others should avoid being in close environments for prolonged periods, wash their hands frequently and avoid kissing or sexual contact.